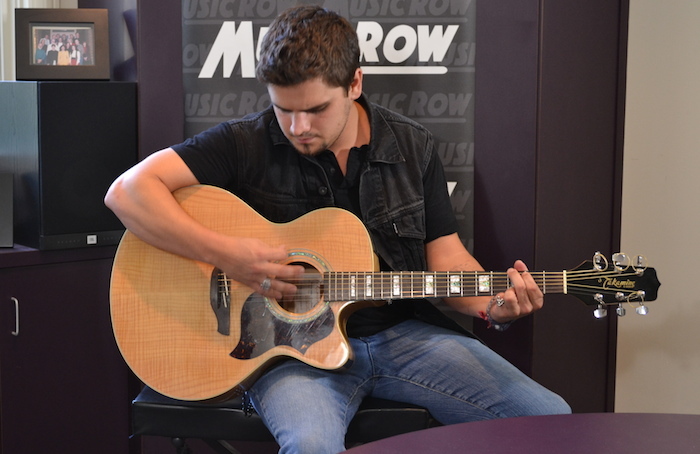 Northeast Georgia native Daniel Lee recently visited the MusicRow office to offer an acoustic preview of songs from his upcoming album. Roots, produced by Shannon Houchins and Noah Gordon, will release on Average Joes on July 22. The singer-songwriter performed a brief set that included “Backwoods Tobacco,” a song featured on MudDigger Vol. 3, as well as “For Sale Sign” and “Complain,” a self-defining song that Lee penned solo. He also offered “Georgia Asphalt Road,” co-penned by Chris Janson. “I didn’t write it, but it really fits the album,” said Lee. Average Joes’ marketing strategy for Lee so far has focused on digital outlets, Sirius XM, and some local terrestrial radio outlets. Lee will celebrate the release of Roots closer to home at Wild Bill’s in Atlanta on Aug. 2. He is partnering with Adventure Bags to collect backpack items for displaced children in the Metro Atlanta. The evening’s lineup will also include Coal Mountain Band and Georgia Red Clay.